You are here: Home » Posts tagged "Ramadan"
Wednesday – Nouman Ali Khan Day. 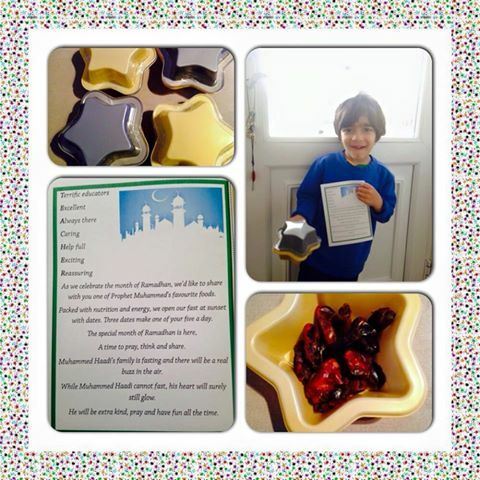 And how apt – here he is talking about making the most of Ramadhan by memorising the Quran! 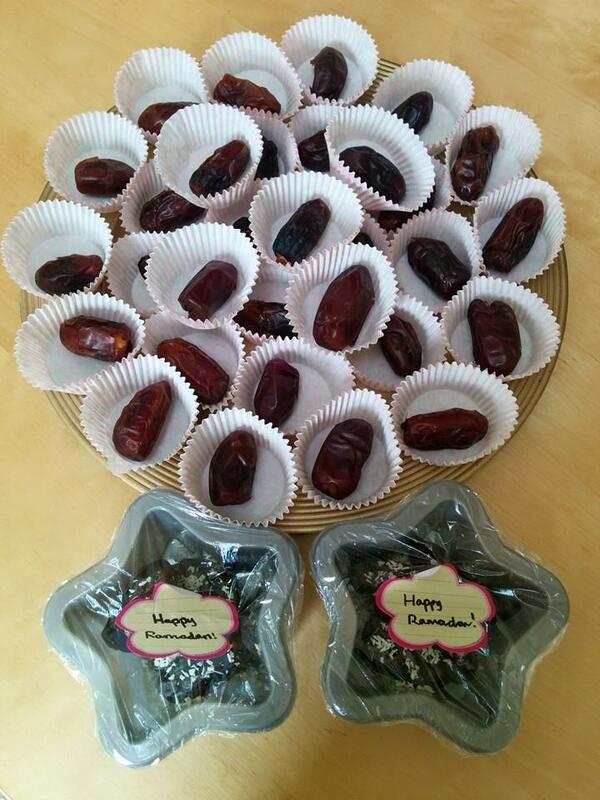 Looking for ideas for Ramadan and Eid parties? You’re at the right place! 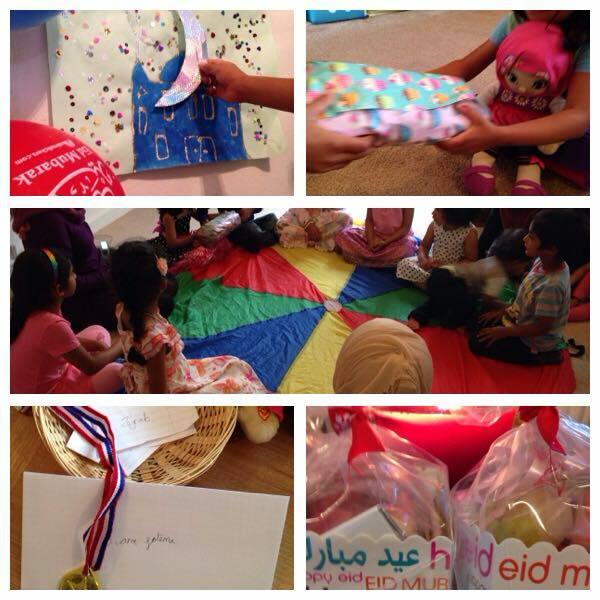 One mum held an Eid party for her sons and friends! They sang ‘Eid Mubarak To You’ while cutting the cake, and had the usual fun stuff of a bouncy castle and toys to make it extra special for the children. 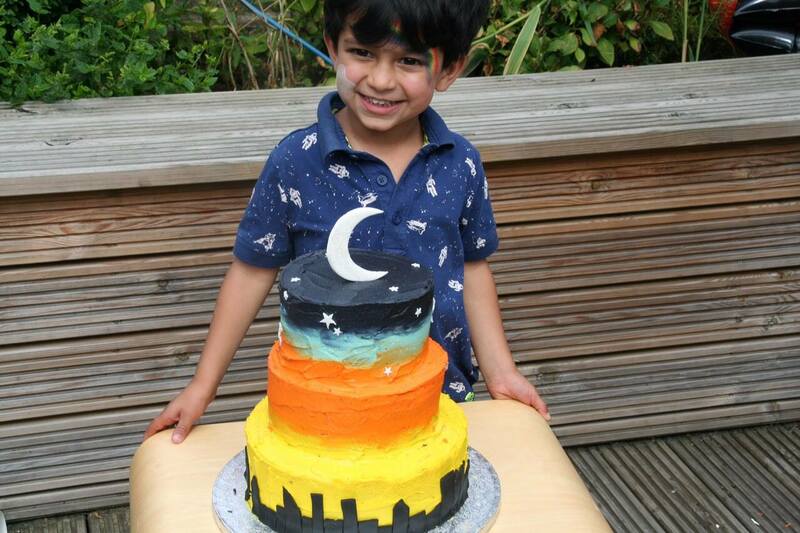 Check out the Eid cake! 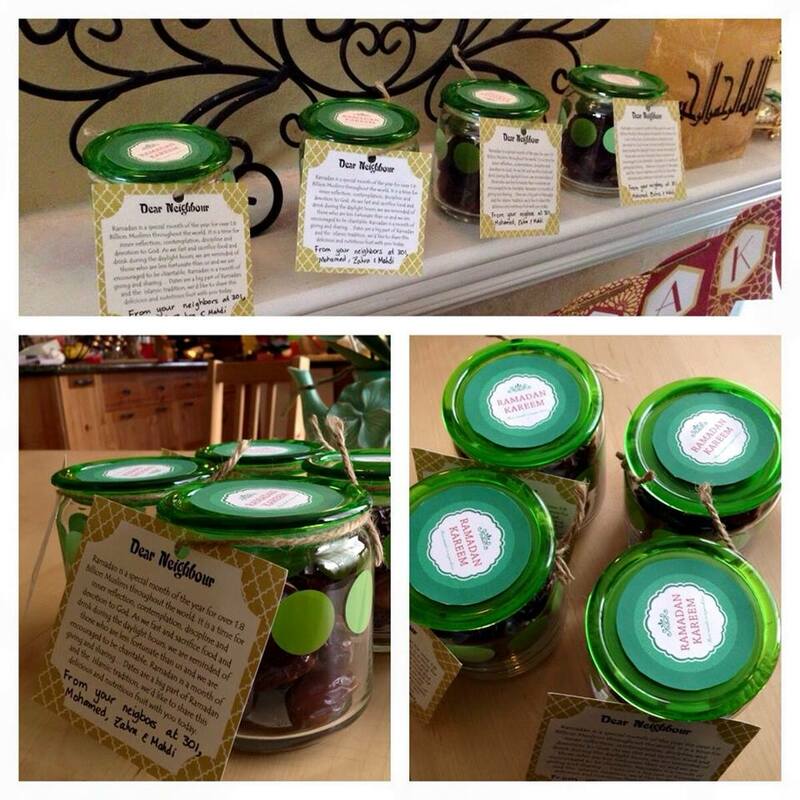 And I love these unique Eid cookie jars with moon cutter as a party favour! 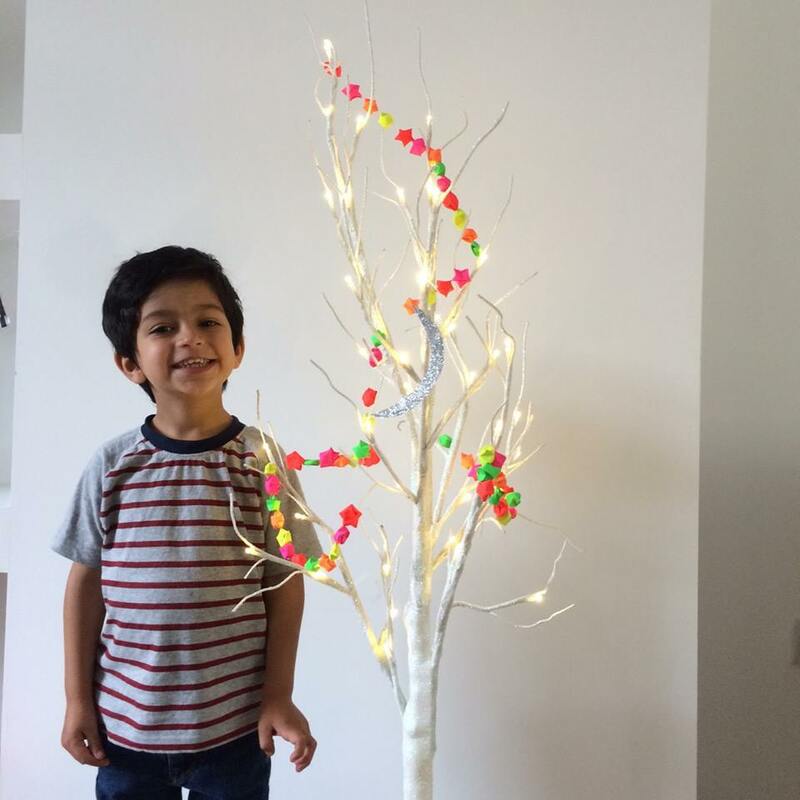 And here is another beautiful home made EID TREE! 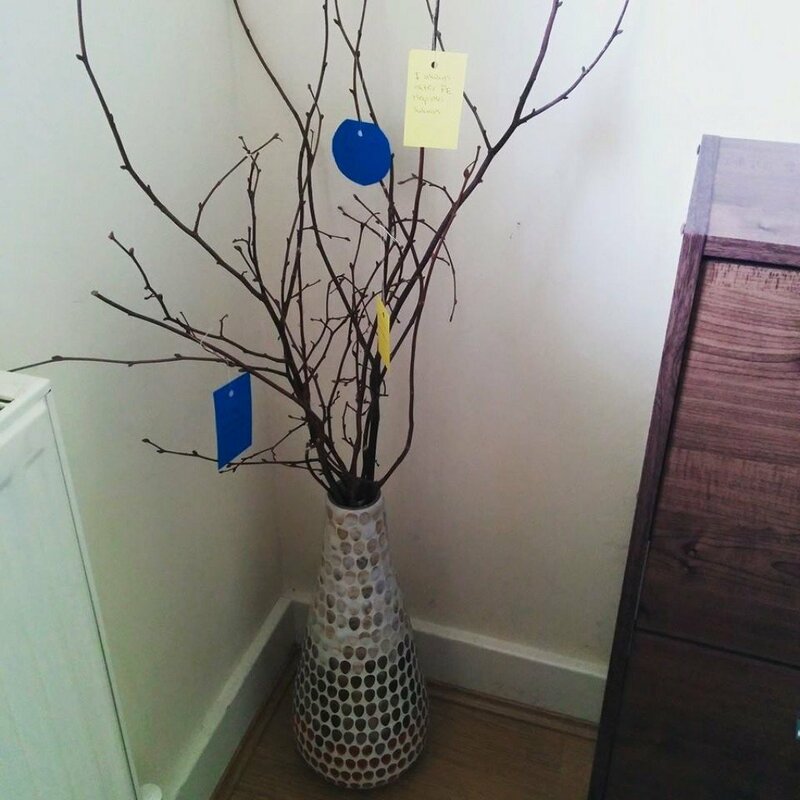 The mum found a nice vase, and then actually found the twigs herself! Looks beautiful and oh-so do-able! 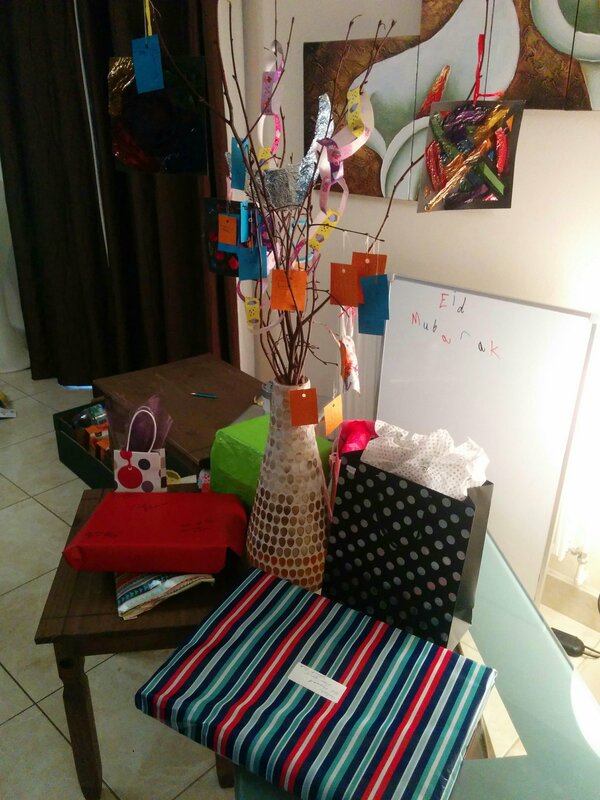 And here is our Ramadan and Eid tree! 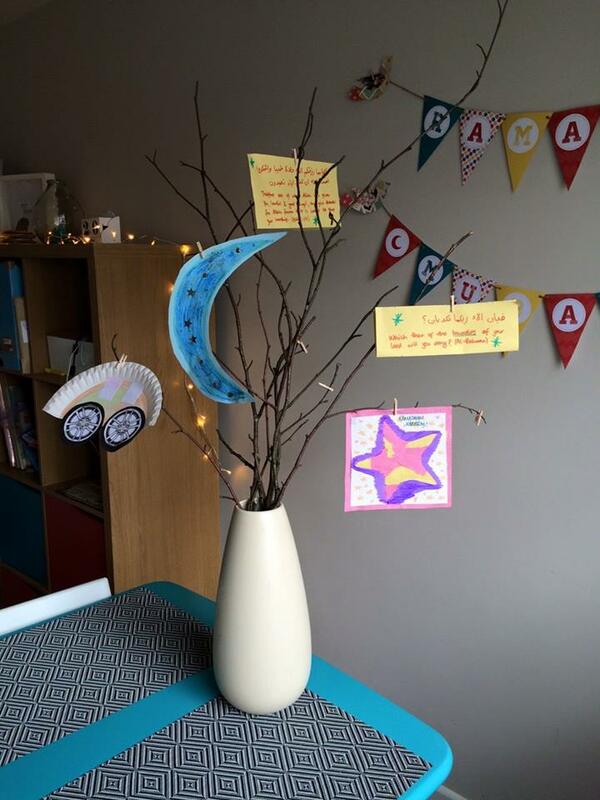 We have a big plant which we normally decorate and put presents around for eid, so I didn’t want something else that was big, but i did want somewhere to hang our good deed and gratitude notes. It is slowly but surely filling up – can’t wait to see what it looks like at the end of the month, Inshallah! P.S. 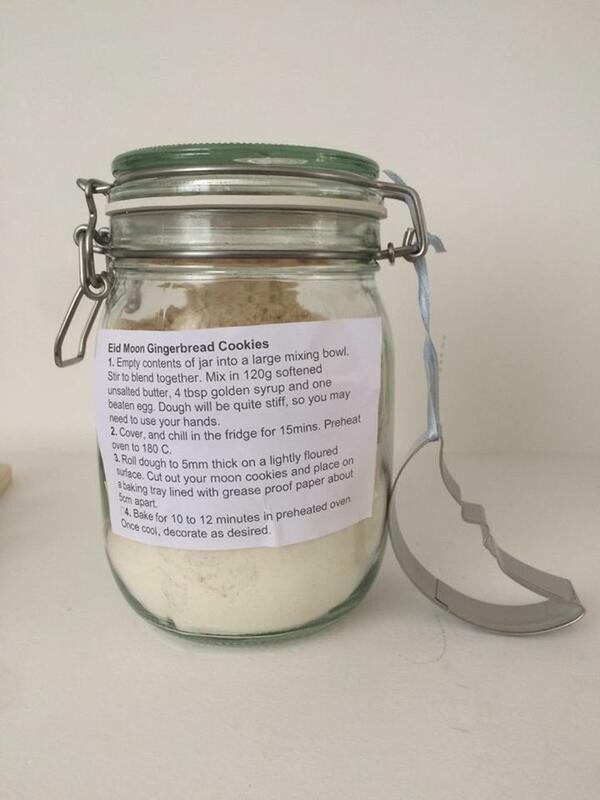 If you’re exchanging gifts with a group of children, how about trying this? Each child gets a little piece of card where they write their name on one side, and a prayer on the other. Younger children can get help writing. 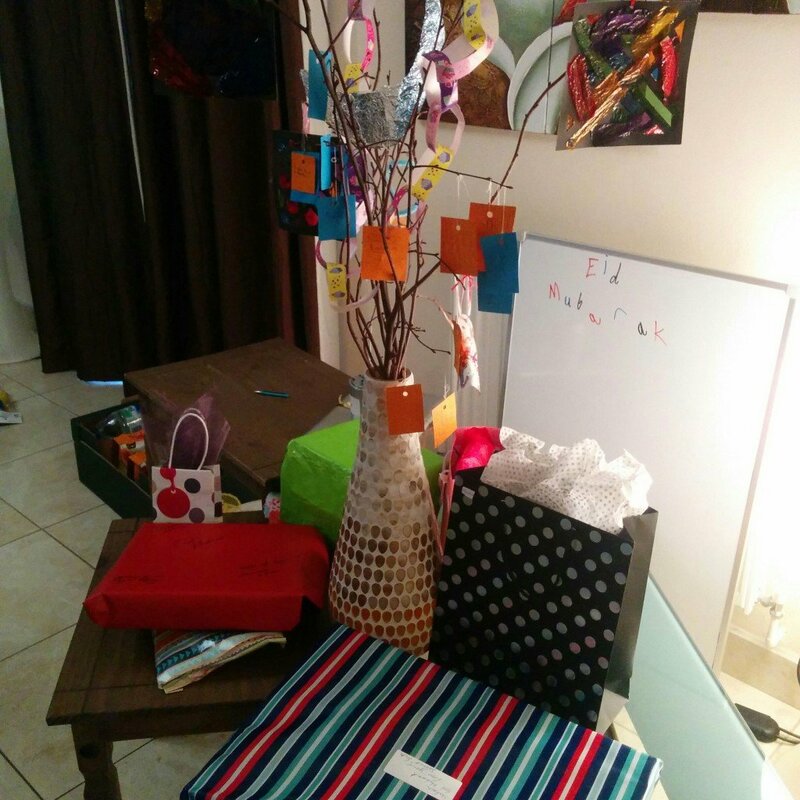 When their name is called to get their gift, they come hang their dua up on the Eid tree – and so it also becomes a prayer tree! 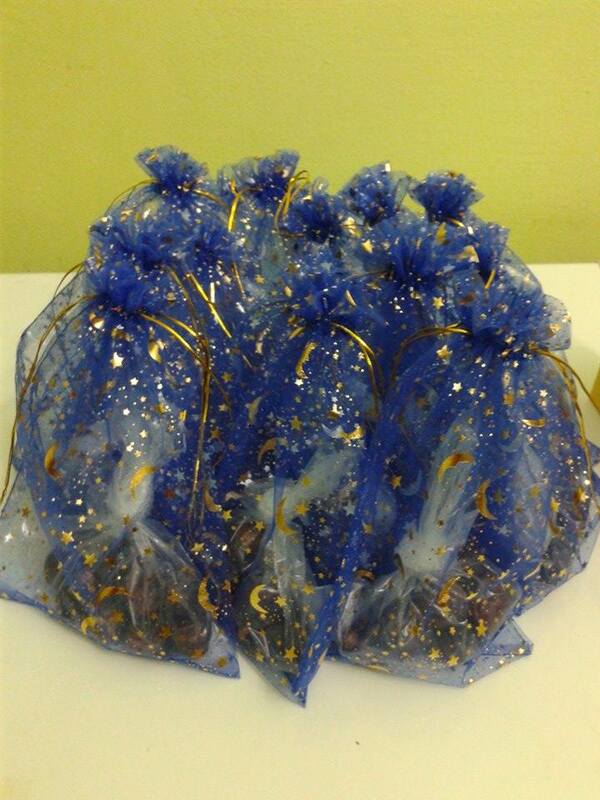 Someone suggested to hold on to their duas and take it out next Eid, so they can see whether their duas were answered :). Duas each Eid can be saved to see how they’ve grown each year too! This is lovely! 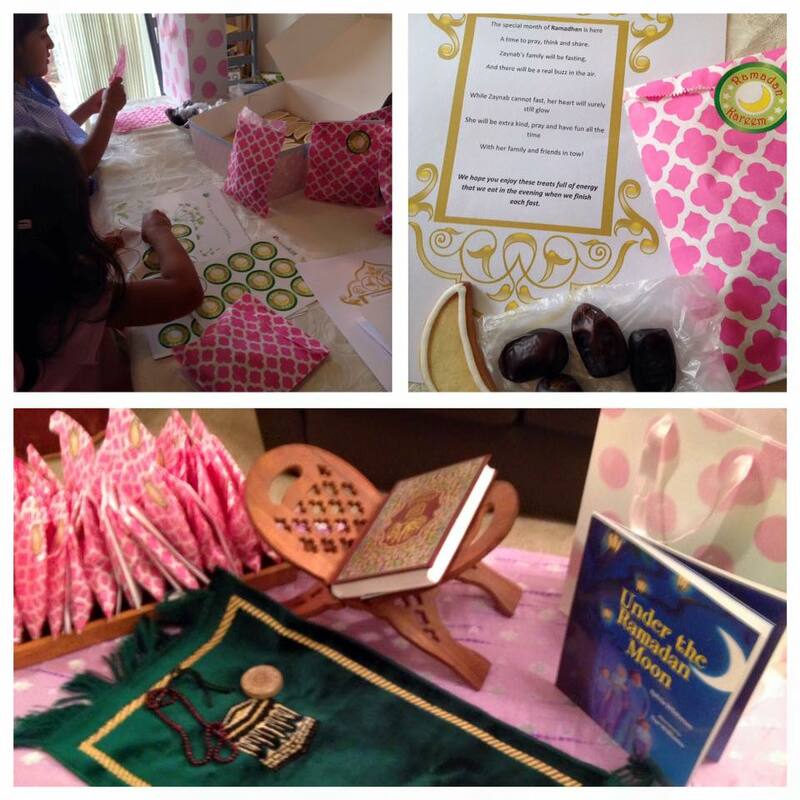 A letter to children using the sermon delivered by the Prophet on the last Friday of Shabaan (ie. today! )…I think I’m going to print this out and write a personal message on the back to them too! When we are fasting, it is easy to be short on patience and tolerance and take it out on our children, unintentional though it may be. I know I often have this unrealistic expectation that “they know I’m fasting, so why don’t they just… etc, etc” – but that’s exactly what it is – an UNREALISTIC expectation! Kids are kids, and will do what kids do best – ask you for help, want you to play, fight and all the rest of it! So this Ramadhan, I’m going to try extra hard to keep in mind that this is the month where I’m supposed to be at my best, and as a parent, that means being extra loving and kind to my children. If i don’t manage to do extra duas, Quran, etc – so be it, they come first. May He help us all to be the best we can be, Inshallah!